FOR BOOKING ENQUIRIES PLEASE CONTACT 1800 223 375 EMAIL: info@allseasonscaravanpark.com.au WEBSITE: www.allseasonsholidaypark.com.au Ideally situated close to Mildura’s city centre, the mighty Murray River and dozens of attractions, All Seasons Holiday Park provides you with the perfect getaway location in the Mildura region. 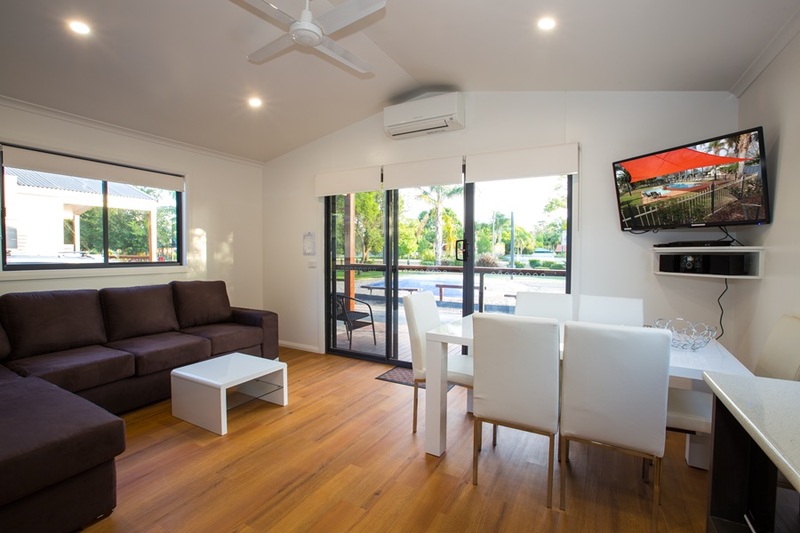 Offering a wide selection of luxurious, affordable accommodation including new luxury 3 Bedroom Family Cabins and new wheelchair friendly 2 Bedroom Accessible Cabins, there is something on offer for all travellers and holiday makers. 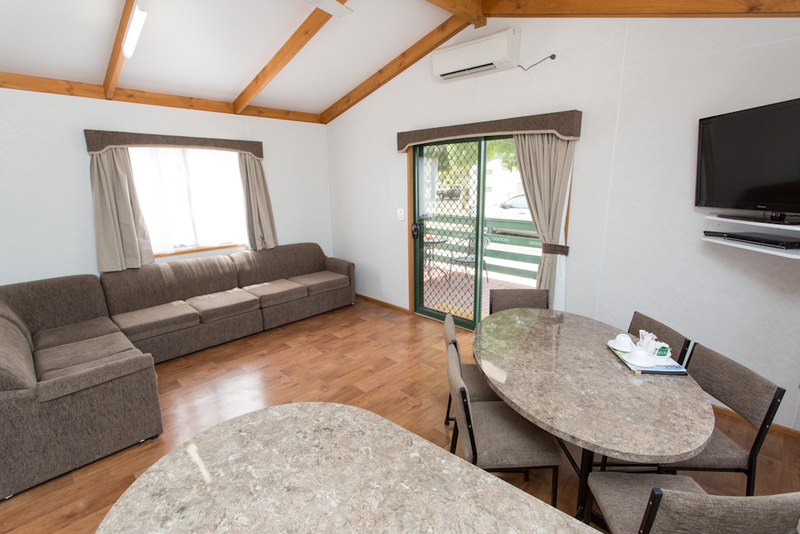 Accommodation is superbly appointed with full linen, DVD/TV, self-contained kitchen and spacious living areas. Some even come with a spa! Complimentary facilities include a Water Splash Pad, Swimming Pools, Jumping Pillow, Tennis Court, Playground, Go Karts and plenty more. 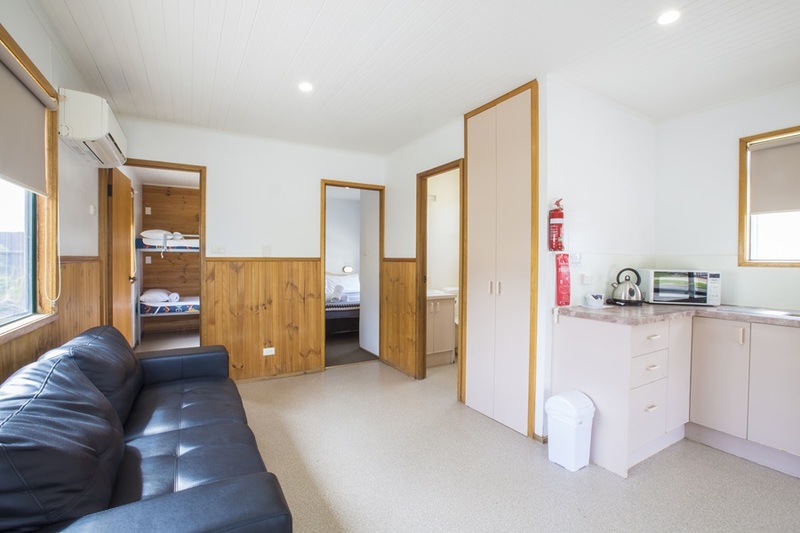 Recent major renovations include a brand new functional Camp Kitchen and the new Games Room is ideal for playing and relaxing in. 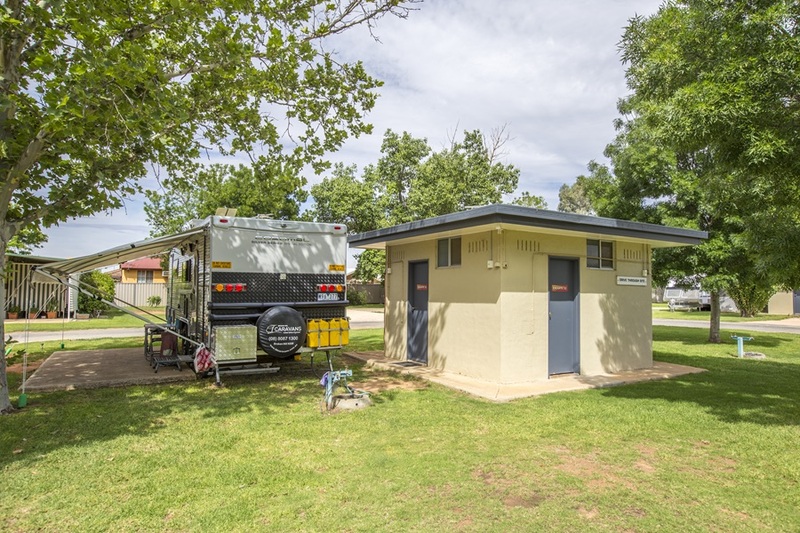 The park also has over 30 ensuite, powered, unpowered and many drive-thru sites suitable for campers, overnighters, grey nomads and families. Also pet friendly on sites, during non-school holiday periods. 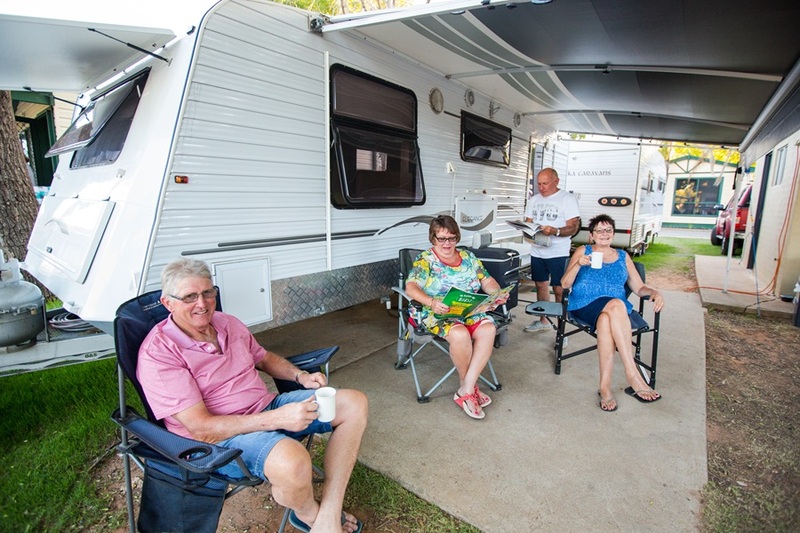 Within easy walking distance of a shopping centre and public transport right outside the door, All Seasons Holiday Park makes it easy to sit back and relax, or get out and about in, during your Mildura holiday. Our wheelchair friendly Accessible Cabins are new to the park in 2018 and suitable for people who need a little extra room to move around, with a ramp leading to the front door with car parking alongside. Queen bed & TV in the main bedroom. 2nd & 3rd bedrooms have a queen bed with a single bunk above them, full linen is provided for all beds. Located next to the pool, BBQ, jumping pillow & playground areas. Complete with LCD TV & DVD, ceiling fans in the main bedroom & living area, split system A/C & large L shaped couch, Bathroom & separate toilet. Kitchen is well equipped with all of your cooking needs. Sleeps up to 8. 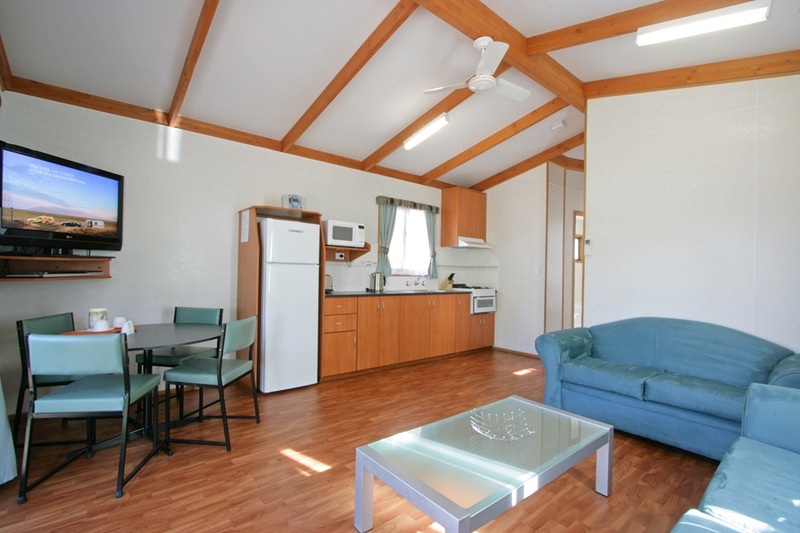 These cabins are luxurious and have 3 bedrooms, 2 bathrooms and located at the front of the park opposite the BBQ area. 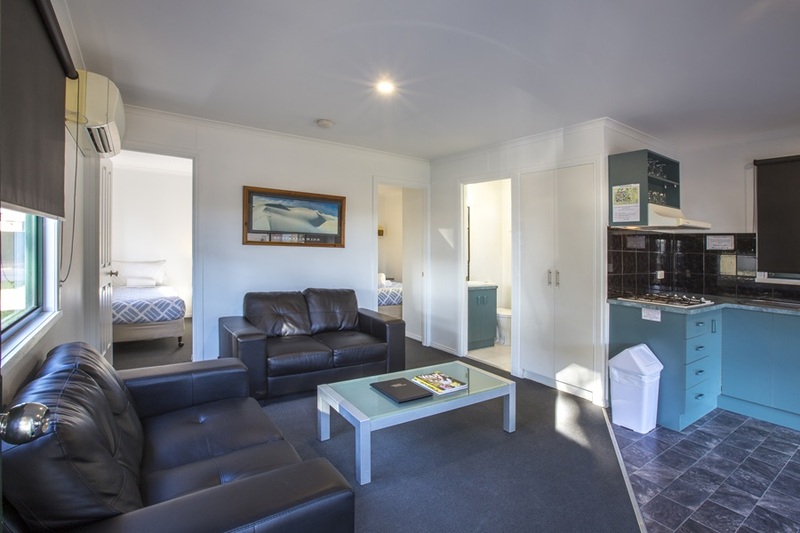 Every bedroom has its own TV/DVD and the main bedroom has its very own private ensuite bathroom � heaven! 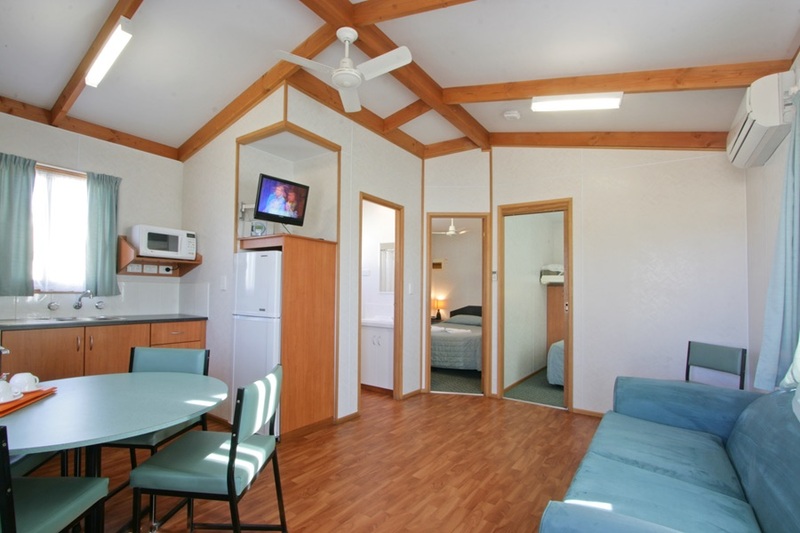 When visiting Mildura, these cabins are the perfect accommodation to holiday in with plenty of room and space to move around in for up to 7 people. 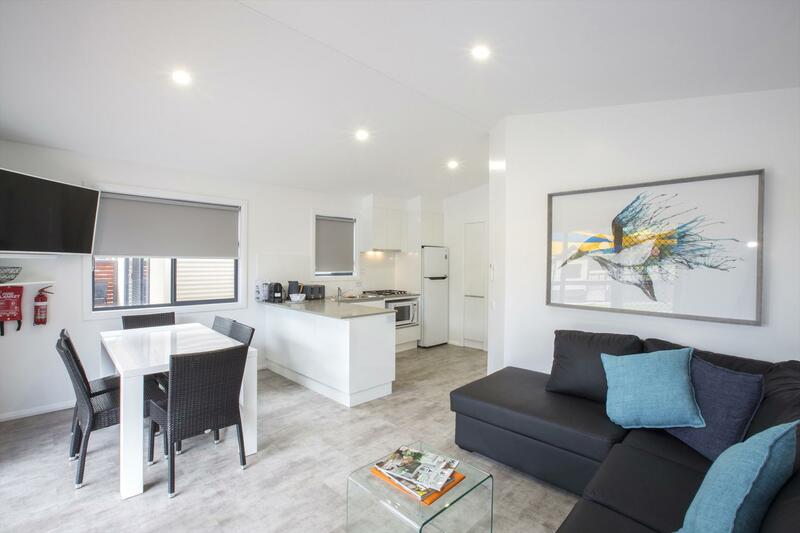 Grassed & slab powered sites are located in close proximity to our new upgraded, very clean amenities block, laundry and camp kitchen. Queen bed & TV in the main bedroom. 2nd bedroom has option of a queen bed or 2 large singles. Linen is provided for all beds. Two couches, LCD TV, DVD & CD player. Kitchen is fitted with microwave & oven, split system A/C. Sleeps up to 4 persons. Queen bed & TV in the main bedroom. 2nd & 3rd bedrooms have a double bed with a single bunk above them, full linen is provided for all beds. 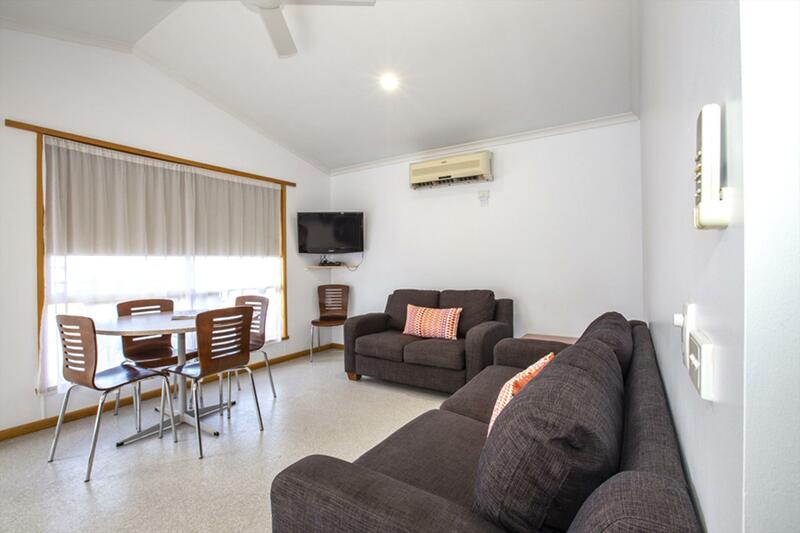 Located not far from the pool, BBQ, jumping pillow & playground areas. Complete with LCD TV & DVD, ceiling fans in the main bedroom & living area, split system A/C & large L shaped couch, Bathroom & separate toilet. Kitchen is well equipped with all of your cooking needs. Sleeps up to 8.